To build such a First Class Education System requires a first class political system – one that embraces a distinct, elevated and independent political vision for its state and for the world, based upon the verse above – to take mankind from the darkness and ignorance of Kufr (disbelief) to the light of Islam and the justice and elevation it brings to humanity in every area of life – spiritually, intellectually, morally, politically, economically, and in science and technology. This first class political system is the Khilafah (Caliphate) based upon the method of the Prophethood which implements the Islamic beliefs, laws and systems comprehensively upon a state, and which for centuries led the world in the excellence of its academic institutions and its cutting-edge innovations and discoveries, as well as its huge contribution to human development. The Khilafah will establish an exemplary first class education system that will raise a generation of youth and build an Ummah and state that embodies the qualities to lead mankind from the darkness to the light as commanded by Allah (swt). It will not accept to trail behind other nations in academic successes nor accept any second-rate education system funded with scraps from the state. The Khilafah is obliged by Allah (swt) to have an independent political vision domestically and internationally based purely upon Islam; and hence to also be independent in the formation of its education curricula, as well as the provision of its public services and infrastructure, and the fulfillment of the needs of the state and its people. It will therefore not accept to be dependent on any foreign land for the development of its economy, agriculture, industry, healthcare, education, military, science and technology sectors or any other part of the state which lays it open to manipulation by colonial governments. The Khilafah will establish a strong marriage between education and the fulfilment of the vital issues and interests of the state and its citizens, ensuring self-sufficiency and independent sustainability – hence putting an end to the current disconnect between the education systems in our lands and the industrial, agricultural, technical and other needs of our societies, which leads to dependency on other nations. This, alongside the Khilafah’s heavy investment in industrialization to meet the needs of its society independently and to make it a world superpower, will harness and utilize the outstanding skills and minds of the graduates of this Ummah for the development of the state, so that their precious abilities are not squandered or hijacked by foreign governments. This is achieved by implanting the Islamic Aqeedah, thoughts and behavior in the students so that they become Muslims who take Islam as the sole basis for all their thoughts, judgements, inclinations and actions and shape their whole lives in accordance to their Deen. This goal will be supported by the Islamic environment of the Khilafah where its media, mosques and all other institutions will promote nothing but the pure Islamic concepts. Students will be taught what they require of skills and knowledge to interact with their environment to prepare them to engage in the realm of practical life, such as mathematics, general sciences and the knowledge and skills to use various tools and inventions, for instance electrical and electronic apparatus, computers, domestic appliances, farming and industrial tools, and so on. They will also be taught beneficial sports such as swimming and archery, and after puberty they will be trained in military skills under the supervision of the army. Students will be prepared for university entrance by teaching them the prerequisite primary sciences – whether cultural such as Fiqh, Arabic, or Tafseer of Qur’an, or empirical sciences – such as mathematics, chemistry, biology or physics. The aim is to create distinguished personalities, scholars, scientists, and experts in every field of life to establish the Khilafah as a leading, influential world-power. Teaching methods will be employed which inspire deep thinking. Empirical sciences for instances will be taught in a manner that builds analytical skills, and where topics are applied to solving real-life problems and studied to derive benefit from them to serve the interests of the Ummah and her vital issues. This holistic integrated teaching curriculum will create holistic Islamic personalities who are distinguished in both their understanding of their Deen and the nature of this world, as well as prepared with the foundation required to enter higher studies. The stages of schooling are also shaped upon the Islamic Aqeedah for they are defined based upon the Shariah evidences related to the different Islamic rules, duties, and punishments applied upon the child at various ages. There are 3 school stages – the 1st (or Primary stage) – from age 6 to 10 years; the 2nd stage (or Middle School) from completing 10 years to age 14; and the 3rd stage (or Secondary School) from completing 14 years till the end of the school stages. There will be no mixing between males and females in the state’s education institutes as specified by Islam – whether between students or teachers. It is an Islamic obligation upon the Khilafah to provide high quality education to each and every one of its citizens as a basic right – regardless of their religion, race, gender or level of wealth. It obliged to provide sufficient primary and secondary schools and teachers for all citizens of the state and equip them with all they require to achieve the objectives of the education policy free of charge. Investment in education will be a priority for the Khilafah. As a state that seeks to lead the world and genuinely serve its people and humanity, it will not accept any second-best education system due to lack of funding. Rather, it will seek to build an abundance of well-trained and well-paid teachers and lecturers, as well as fully-equipped, state of the art schools, colleges, universities, research centres, libraries, laboratories, observatories and much more, using the wealth of its Bayt-al-Mal (its Central Treasury), whose wealth Insha Allah will be plentiful due to the sound nature of the Khilafah’s Islamic economic system. The state will support every student to achieve his or her full potential regardless of their wealth and aid them to master the highest level of scholarship and innovation to produce an abundance of outstanding mujtahideen, scientists, and inventors Insha Allah. In the Khilafah’s vision for Higher Education, there is a close marriage between the state’s education system and the fulfilment of the needs of the society. For example, one of the goals is to strengthen the Islamic personality of higher education students to make them leaders who guard and serve the Ummah’s vital issues, such as ensuring the correct implementation of Islam, accounting the leadership, carrying the dawah, and confronting threats to the Ummah’s unity, the Deen or the Khilafah. This means that the Islamic culture is continuously taught to higher education students, regardless of their chosen specialty. The Khilafah will also encourage and provide the means for students to specialize in all fields of Islamic culture to produce the future scholars, leaders, judges and fuqaha (jurisprudents) of the state so that the Ummah flourishes in its implementation, preservation, and spreading of their Deen. 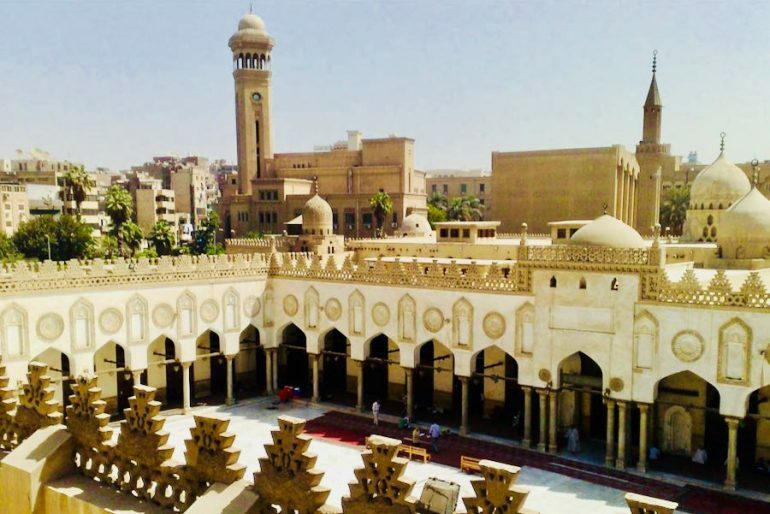 Higher education also seeks to produce task forces able to take care of the Ummah’s vital interests such as securing sufficient and quality food, water, housing, security and healthcare for the people, as well as to produce sufficient doctors, engineers, teachers, nurses, translators and other professions to take care of the affairs of the Ummah. This will include generating experts who will draw up short-term and long-term plans and innovate advanced means and styles for the development of agriculture, industry and security to enable the state to be self-sufficient in managing its affairs. The education system of the Khilafah will therefore be unique, outstanding and unrivalled in its nature. Indeed, this Islamic system which gave birth to extraordinary leaders such as Umar bin Al-Khattab (ra), Umar bin Abdul Aziz, and Harun al Rashid; and exceptional scholars such as Ash-Shafi, Ibn Taymiyyah, and Nafissa bint Hassan (rm); and distinguished scientists such as Ibn Sina, Al-Khwarizmi, and Mariam ‘Al-Astrolabiya’ Al-Ijliya – will once again give birth to outstanding leaders, mujtahideen, and scientific innovators for this Ummah Insha Allah – generating a golden generation and civilisation.